RIDGEVIEW RETIREMENT VILLAGE was established during 1988 when the first residents took occupation of their units in December of that year. Some of those early pioneers are still residents in the village. 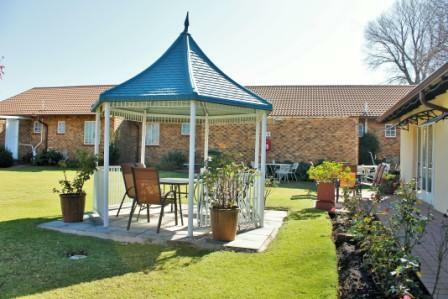 RIDGEVIEW VILLAGE is situated in the beautiful suburb of Impala Park Boksburg, close to shopping centres, churches, restaurants and cinemas. It consists of 65 privately funded units, some of which are one-bedroom units and others are two-bedroom units. The village is securely fenced, with access restricted to a single 24-hour guarded gate. 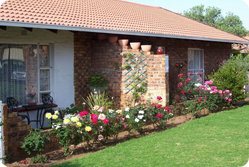 The tranquil setting of the village with its beautiful gardens adds to the peaceful atmosphere. No frail care or mid care facilities are available, as residents of RIDGEVIEW VILLAGE are retired persons capable of caring for themselves. If these facilities are required at a later date, residents may apply for a transfer to our Fairleads Retirement Village in Benoni, where there is a well-run frail care centre with 24-hour nursing. One and two bedroom flats and cottages for sale on a life rights basis. Levy includes professional cleaning, garden service, security and water. Electricity is billed according to meter readings.